Are You Interested in Meditation and Mindfulness? You may have heard of the many benefits of meditation and mindfulness, and with modern technology these benefits are being recognised more and more. And the beauty of it is that it is a simple practice, that everyone can do. With just a little bit of know how to get you started you’ll be on your way to a better, less stressed life. Sound good? The problem, of course, is for it to work you actually have to do it! Daily preferably. And here lies the challenge – to make a commitment to your own wellbeing, and stick with it. That’s where a meditation group can help keep you motivated, and inspired, to keep following your path to a healthier, more fulfilled you. Mardi has been sharing meditation with her local communities since 2015 and is constantly blown away by the life changing affects her attendees share in the group, seeing it change people’s lives for the better. Mardi’s meditation groups are expected to run for about 45 minutes depending on discussion and questions. Aimed to offer a place to share meditation with like minded friends – Mardi will explain different principles of meditation week by week, and guide the group through a mediation and encourage home practice. $5 donations (or what you can afford) appreciated to help cover costs. *Coming soon* Mardi is in the process of creating 2 hour workshops that will cover topics around mediation and suggestions for making meditation part of life – a healthy habit. You can also request Mardi come and speak for your workplace or community event. Please contact her for more details – prices vary depending on requirements. Meditation is often referred to as technique to help bring more mindfulness into our lives. Mindfulness is the practice of living in the present moment – where stress can’t flourish! 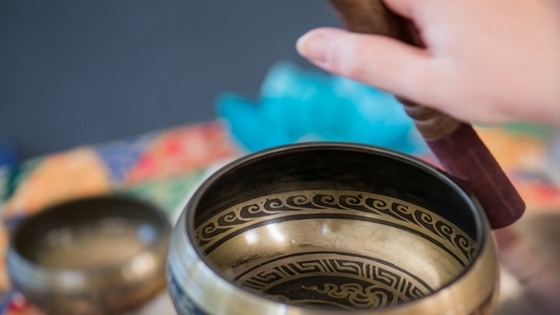 There are many ways to practice both mindfulness and meditation, and classes with Mardi MAY will give you the opportunity to experience different practices – so you can find out what works for you. WHAT STYLE OF MEDITATION WILL BE TAUGHT? The sessions include a range of practices. Some meditations will be simple guided meditation, where you simply follow Mardi’s voice, and some will give your mind a bit of a workout – helping you become more aware of your thoughts and feelings. The teachings are non religious but many stem from ancient traditions, like Buddhism, through to new thought techniques, like guided visualisations. Everyone is welcome. It’s not a requirement – and you are free to attend as you please, but I do recommend weekly attendance. This helps keep up your motivation towards a successful meditation practice that will enhance your life. Over a 10 week term we discuss 2 different topics – and attending all sessions will give you the benefit of a greater way of experiencing different kinds of meditations, and insights about why meditation should be an important part of everyone’s life. Making a commitment to your wellbeing, learning about what suits you, and sharing experiences in a group can enhance your meditation practice. WHY SHOULD I ATTEND WEEKLY MEDITATION SESSIONS? Meditation and mindfulness are said to be the keys to happiness and joy. Building a daily practice can be challenging, and including a weekly group session can help increase your motivation to make meditation a habit – and stick with it, while giving you the opportunity to share your journey with like minded souls. Times will depend on the structure of the session, which may go for approximately 30-45 mins for groups to 50-60 mins for a class, to longer for workshops, but don’t worry, I won’t make you sit still and meditate all that time! As a guide the sessions may (or may not) include an introduction, 1-2 meditations – to add to your ‘meditation toolbox’, and time for discussion and questions. My aim is to have you leave feeling refreshed and relaxed, and ready to make meditation part of your life for the better. Prices vary depending on venue costs, differing programs, and overheads but range from $ contributions for community groups to $15/$10 conc or more for classes, workshops and special events. See event links for more info and specific costs. Concession and class passes are available. And if you are struggling financially please come and see me so we can work something out.